The overlays reflect heat from the building which leads to a cooling effect. You can also apply radiant barriers to further insulate your project. Tiles that are light colored with earth tones are very effective in cooling homes. This material also has natural reflective properties that will help with the cooling effects. These materials are popular in warmer climates with little precipitation. With clay tiles, you can also weatherproof them and add reflective capabilities with certain paint treatments. Concrete is heavy and will take a long period of time before it can fully heat up. If you can paint the concrete a lighter color, it will even increase the cooling effects. The green roofs consist of a waterproof membrane which is filled with soil or vegetation. Not only is this a durable type of roof that you can try, but the plants that are growing in the roof can help purify your air. These are special types of roof shingles that are effective in trapping in solar power and turning it into electricity. These solar shingles are also available in traditional sizes and shapes to meet your specific needs. Although “rubber” is in the name of this particular type of roofing, it isn’t technically rubber that is used. This roofing material is made from a single-ply, rubber-like membrane that’s either made from a weather-resistant thermoplastic or synthetic rubber called EPDM (ethylene propylene diene monomer). EPDM is known for being long wearing, thermoset, and sets like a rubber material. Since these tiles are made of concrete, they are very effective at keeping the heat out of homes. These tiles are also bright white, which will help in reflecting more sun rays than other roofing materials. These tiles are available in various cool colors, which helps in keeping roofs cool. The white flat tiles are the most effective in keeping heat out of your home since they can reflect the majority of the sun’s rays. Although white metal roofing doesn’t reflect the sun as much as other roofing materials do, this roofing material cools faster at night than others. This type of roofing is costlier than other materials, but is known for being energy efficient, durable, and low maintenance. Electricity costs over the summer months can go through the roof, but your roof doesn’t have to be the reason why it does. There are many things to consider prior to updating your roof, installing a brand new roof, or making adjustments to your current roof. Before you do any of these things, you should take a few things into consideration, as they can play a huge part in your decision. The main things to consider include: the lifespan of the roofing materials you plan on getting, the durability of different materials, benefits of using other roofing materials, and the weather conditions of where you live. This article will give you insight into the architectural shingles lifespan and will guide you towards a roofing material that fits all of your needs. These shingles can last for up to 15 to 18 years. If you decide to install the asphalt shingles, then you should be prepared to carry out replacement after about 18 years. For the asphalt architectural shingles, they can last for up to 30 years. These shingles are among one of the most durable types of shingles available in the market. You should look into replacing these around the 24 year mark. Wood shingles can last up to 30 years, but require more maintenance than other types of shingles. Metal roofs can last up to 45 years, and are also one of the most durable roofing materials as well. These shingles are the most durable types of shingles that you can find. Slate shingles along with concrete shingles can last up to 35 to 50 years. Depending on the type of material that you wish to go with, every shingle is going to incur a different cost. Their cost factors in different features of the shingles such as durability, quality, etc. Besides the cost of simply buying the shingles themselves, you should also consider any installation costs that might be associated with your roofing project. Different types of shingles may require different installation methods and materials. If you find yourself unable to install the shingles yourself, consider hiring a professional to do so. There are some singles such as asphalt which are fire resistant. If you live in an area that is known for wildfires, or would just simply like for your roof to be fire-proof, you should consider choosing asphalt shingles. Choosing different materials for home projects can be tough — especially when you are choosing new roofing materials. Keep this guide in mind when you are in the market for new shingles for your home, so that you’re making the best decision when it comes to which materials to use. A lot of factors come into play with shingles such as their durability, lifespan, quality, etc. Lifespan is a key component when looking for new shingles, as the average architectural shingles lifespan is about 30 years. What Are The Benefits of Tile Roof Maintenance? Tile roofs are some of the most popular kinds of roofs largely because they have the most advantages. Most people love them because they come in such a wide array of colors, it is difficult not to find something that’s pleasant. 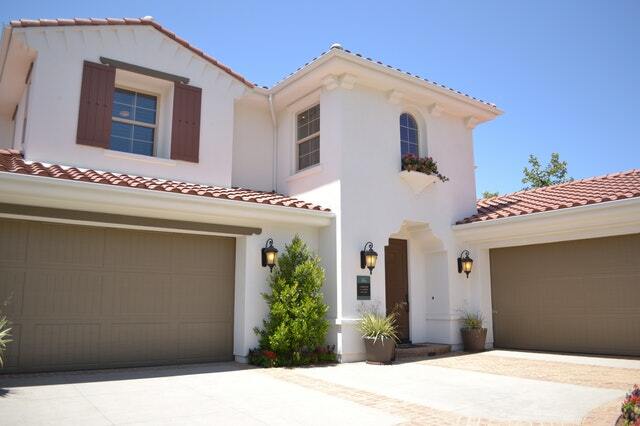 When used correctly, tile roofs can complement the appearance of any house. More importantly, with the right kind of maintenance, tile roofs can last for 100 years or more; all the more reason why it is important to maintain your tile roof. Regularly inspecting your tile roof is the first step to ensuring it is in perfect condition. Due to the fragile nature of clay tiles, use a ladder and some binoculars to look around if you’re not sure you can walk on the tile roof safely. Alternatively, you can use planks of wood treated with foam to spread out your weight across the roof to avoid putting too much pressure on individual tiles. Any chipped, cracked, or broken tiles pose a risk as they compromise the roof’s ability to protect you from the elements. To replace a damaged tile, you will need two flat bars. Slide the first bar under the two tiles directly above the tile that’s broken. Slide the second bar on the tile to the immediate left of the broken tile, and then gently lift both bars upwards and slide out the damaged one. Replace the underlayment first then slide in the new tile. Carefully remove the bar on the left first then finish the replacement by removing the bar placed above. After a while, tile roofs begin to lose their sheen and appear chalky. 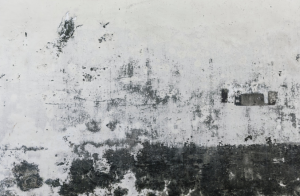 This is a normal process that results in the appearance of efflorescence. Efflorescence doesn’t make your tile roof any weaker, but it does make your roof seem old and worn out. Luckily, you can solve the problem of efflorescence by buffing your tiles individually using a clean piece of cloth. To fully restore the sheen of your tile roof, coat it with an alkyd primer. Primers give tile roofs a protective sheen that’s also shiny and attractive. Most importantly, they reduce the porosity of the tile, making your roof more effective at repelling water. Our team at Jasper Contractors knows that heavy-duty acrylic paint is another great option for giving your tile roof an attractive coat as well as making it more resistant to water. There are also paints that resist mildew. If you’re having trouble painting your roof, first sand it down with fine sandpaper as this makes the paint stick to the surface more evenly. Sprayers are the best tools to use when painting tile roofs. Be careful not to paint outside the designated structure. The final step of any roof restoration project is the application of acrylic sealant, which restores both the durability and the color of the tile. The benefits of tile roof maintenance helps the roof in so many ways so it can be enjoyed for decades. This kind of roof only requires modest care, but the payout is often well worth the effort it takes to ensure your roof is in good condition. You can always contact roof maintenance professionals to do the job for you if you’re not certain you’re up to it. What Roofing Underlayment Should I Use? What roofing underlayment should I use? This is a question many people struggle with when getting their houses or properties roofed. In general, there are two kinds of roofing underlayment, and you have to pick the best option for you. Nowadays, you have a choice of traditional or synthetic roofing underlayment. That said, factors like cost might factor into your choice. But generally speaking, there are many reasons you should pick one roofing underlayment over another. There is one major reason you need underlayment – to waterproof your roof. Felt is a great choice because it can accomplish this goal in addition to offering other important benefits. First of all felt is an excellent underlayment option because it offers great waterproofing. Even when the roofing tiles break off, the felt can continue providing the protection the house owner needs from hostile weather until the roof has been repaired. But now, makers of these roofing materials are now using synthetic underlayment. This is a significant upgrade to traditional underlayment. As far as waterproofing and wind resistance is concerned, this material is incredibly effective. In fact, some synthetic underlayments can protect the roof from leaking for up to six months after the tiles have been removed. Some options even have an antislip capability that makes them safer and easier to install for the roofers. With some of these materials, the moisture will also be kept from getting into your house. 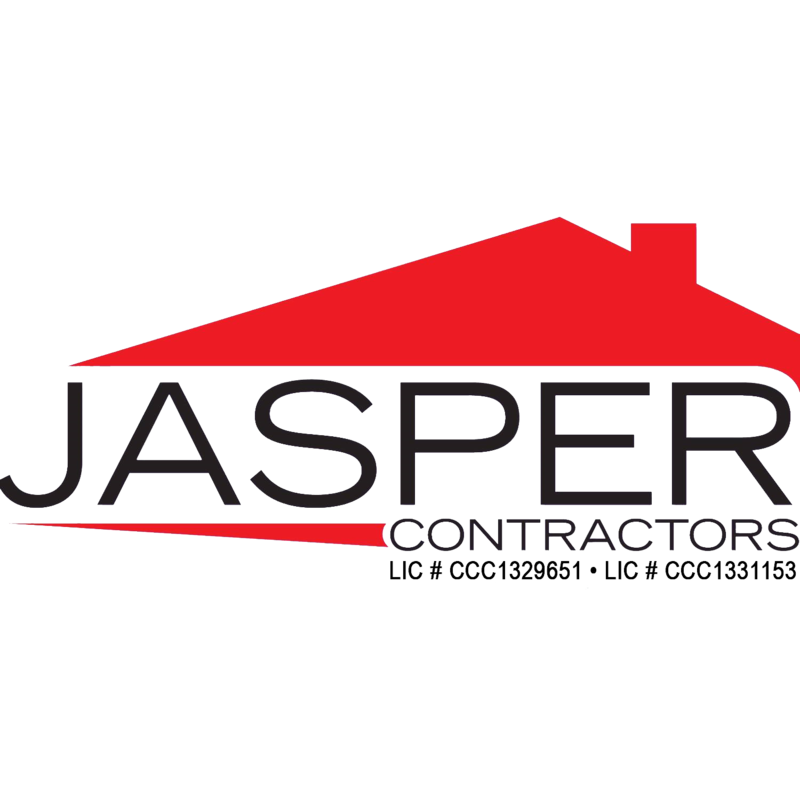 Jasper Contractors says, both felt and synthetic underlayments are worth using for the incredible benefits they offer. Synthetic options will be a little pricier, and they are generally worth the cost because they offer an improved level of resistance against water, and they are safer to work with. This latter advantage should come in handy during DIY roof repair works. The difference in price is so stark that synthetic underlayment can cost even ten times as much as a roll of felt underlayment. However, felt underlayments have done a pretty good job for years, and they are still effective today. Although they cannot take as much punishment from the elements as synthetic underlayments, they can provides decades of reliable experience. That is because once the roofing underlayment has been set up, which takes a couple of hours at most, it is never exposed again until about 3 decades. Your choice of roofing underlayment can also be determined by whether you want a breathable underlay or not. Basically, traditional underlayment is not breathable, while modern synthetic underlayment is. Breathable underlayment offers some ventilation in addition to creating a barrier against water and wind pressure. However, non-breathable underlayment might serve you better if you prefer traditional ventilation options. What roofing underlayment should I use? You are welcome to use both traditional and synthetic underlayment. Both of these options offer excellent waterproofing capabilities. However, synthetic underlayments have a few other benefits you might not get when using the felt underlayment alternative. For one thing, the synthetic underlayments can withstand exposure to the elements for much longer in case the roofing tiles come off. Additionally, they might have antislip capabilities which make them easier to work with. However, the synthetic underlayment option is also significantly more expensive, which is something worth considering since both underlayment options are just as good as making your roof waterproof for a couple of decades at a go. One regular question on online forums is; how long do roofs last on houses? It’s a simple question with a complex answer. The National Roofing Contractors Association says you should ensure your roof is inspected twice a year, that’s once in the spring and during the fall. Using a flashlight while climbing safely onto the top of your roof, you can be able to inspect it easily. For you to know whether you need to replace your roof, Jasper Contractors suggests you should check out the following signs. If you encounter any of the above signs, you need to replace your roof. During times such as this, it’s important that you have adequate knowledge of your roofing material’s expected lifespan and the average roof cost. In the previous chapters, you can find information about commercial and residential roofing material life expediencies. For further details, you can consult your manufacturer or roofing contractor. The roofs lifespan will depend on the type of roofing materials used. For instance, a cedar roof has an average lifespan of around 20 years. However, if it’s a drier climate, it will require regular repair and replacement since this material experiences splitting. If it’s a tile roof that’s properly cared for, its lifespan can be 100 years, although the individual tiles are prone to break. Concrete roofs are durable, which means they don’t require replacing through their lifespan. When determining how often you should replace a commercial or residential roof, you should take into consideration the following estimates. As you determine how long to replace roof, you need to keep several factors in mind. You don’t necessarily need roof replacement just because of a leak in your roof. You can repair these issues without requiring new roof installation. Several new businesses and homes have been built without following professional standards. They can result in long-term problems, regardless of how old your roof is. For example, if the chimney happens to be caulked improperly or a vent has been left unsealed, it can result in leaks, which have the potential to cause internal structural damage. Contact the original builder if there are errors in the roof construction. 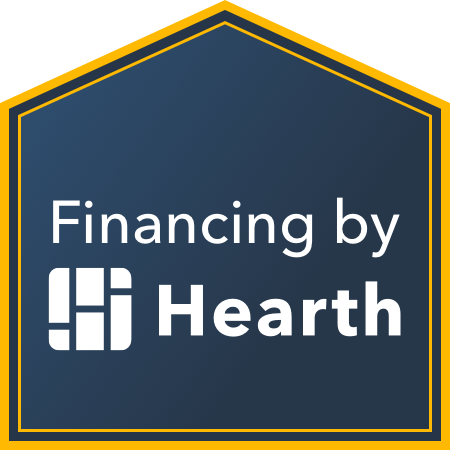 However, you may have to pay for expensive repairs or total replacement, which may not be covered by your original home warranty. In that case, you need to make sure you know the average roof cost before hiring another roofer to repair the mistakes. Properly maintained roofs can last for longer than their warranties suggest. For you to avoid paying huge roof replacement costs, make sure you carry out annual inspection and maintain it well. A number of factors, which include environment, climate conditions, proper application, material quality, and roof and building designs determine the roof system’s lifespan. Environmental and climate factors are important for any roof lifespan. Roofs exposed to extreme cold or heat have shorter life spans. 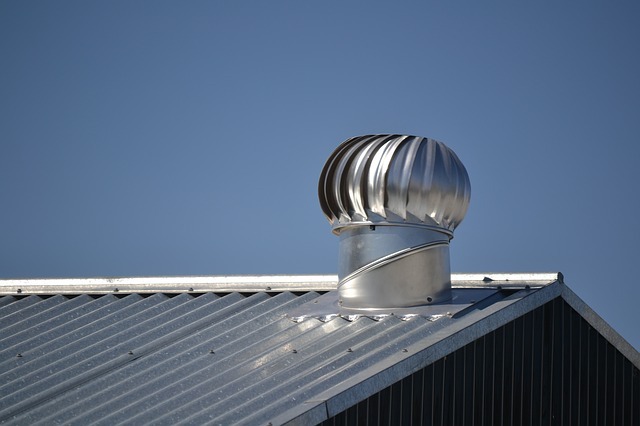 In industrial or commercial areas, residues, exhausts and chemicals from the manufacturing process can break down or damage most types of roofing materials faster than wind, sun and weather. When it comes to your home, leaks and creaks just won’t cut it. We’ll help you take care of your greatest investment with these simple tips for maintaining the integrity of your roof over time, suggested by Jasper Contractors, Inc.
Shakes, shingles, panels … every roof is different. But they all need to be cared for the same way: regularly. To keep your roof at its best year after year, inspections are necessary (and sometimes, so are repairs). Whether you’re a DIY homeowner or prefer to hire a professional, it’s not hard to keep your roof in tip-top shape. It’s a good idea to check out the condition of your roof every fall and spring (if not every season). Keep in mind that the National Roofing Contractors Association recommends having a professional assist you in your inspection, even if you want to do a preliminary inspection of your own. Extend the ladder at least 3 feet above the edge of the roof, and angle it a foot away from the house for every 4 feet in eave height (the eave is the overhanging edge of the roof). Sounds complicated, but this simple ratio will give you the stability and depth perception needed for a safe inspection. Make sure the ladder is secured at the top to keep it from shifting while you’re on it. Don’t step on any rung above the roof level. The base of the ladder is much more likely to slide if you top-load the ladder with your weight. Only ever take one hand or foot off the ladder at a time in order to keep your balance. A good time to inspect your roof is when you’re cleaning the gutters (not to mention that cleaning your gutters even twice a year can help protect your house from large-scale weather damage, like rotting wood or a cracked foundation). An employee from Jasper Roofing, suggests some tips to help you go about inspecting — and cleaning — your rooftop safely. Sweep away any twigs, leaves, or dirt. These things can damage a roof over time, and sometimes cause algae to grow, which is a pain to remove and can clog your gutters. Putting zinc strips on the roof can also help prevent the growth and buildup of algae or moss. The strips, when combined with rainwater, wash the cleansing chemical down the roof (preventing algae building up in the first place). Already have an algae problem? A good solution is a cleaning product specifically designed to rid your roof of algae, which you can find at a home improvement store. Just be sure to use chemical cleaners sparingly — an overabundance of chemicals can cause your roof to deteriorate. Check for signs of wear around pipes, your chimney (if you have one), and obvious damage like holes or loose material. Make sure all flashing (the technical term for the weatherproofing materials that seal your roof in places where the roofing material itself ends) is in good condition, without any damage, missing parts, or rust. Use a hose to push water through the gutter to get rid of leftover dirt or tiny bits of debris. You’ll be able to see if the water flows easily down the downspout as it should. If it’s blocked, use a drain snake (or hire a professional to clear it for you). Avoid power washing your roof because it can only shorten its lifespan. Though a swift power wash might rid your roof of unwanted moss or debris quickly, it’ll also wash away parts of the roof, damaged or not. Insurance for your home is a necessity for you, your family, and your house itself — especially if covered incidents like wind or hail wreck the roof you’ve worked so hard to maintain. Disaster is expensive, but fortunately home insurance can help you pay to repair or replace certain damages to your home. Speak with one of our licensed agents or grab a quote and see how easy it is to get great protection for your house, roof and all. A change to Florida’s Building Code mandates roofing underlayment and updates its installation guidelines. The underlayment codes have been criticized as being confusing. Many interpret the code to say that old D4869 regular felt can only be used in very limited situations of lower slope applications, according to a column in the Daily Commercial. For other applications, builders and roofers must use D226 Type II roofing felt or a synthetic felt that has met Florida Building Code approval. Florida’s code, with its emphasis on minimizing hurricane damage, influences the development of codes in other states. As a homeowner, you may keep up with the most current fashions in interior design. You may also know about changes in ergonomic design in areas like the kitchen and bathroom. And if you have a green thumb, you may also follow what’s up-to-date in the world of landscaping. But you may not even be aware of the trends in the roofing industry (or even that such trends exist). 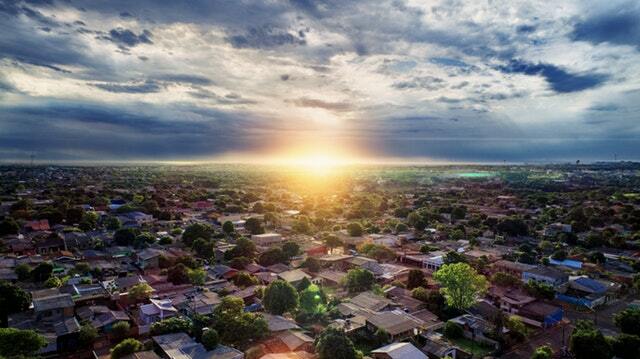 So if you’ll be needing a roof replacement in the near future, you may want to see what’s hot in 2014. For example, maybe you’re tired with having to look at your drab, dark roof all the time. Here’s some good news: light-colored roofs are emerging as a very popular style. Many roof shingles are being produced in shades of soft greens, warm blues, and even neutral colors like taupe, beige and off white. In other words, you can add just a hint of color to your roof without turning it into a garish eyesore. Another frequently-used material on home roofs today is concrete. No, it’s not like the colorless concrete you see on schools and industrial buildings. Concrete tiles resemble traditional composite shingles but are much sturdier, heavier, and more durable and waterproof. If you live in an area that’s prone to violent storms, concrete roofing tiles are a very viable option. Some homeowners who want to think outside the architectural box are turning to roof additions in curved or arched shapes. Others are opting for a gambrel shape, which consists of one soft slope and one steep slope on each side (like an A-frame with a bend in the middle) and are often seen in Dutch Colonial homes. In addition to how visually-appealing they are, these unique shapes produce attractive angles, utilize all shingle types, and create opportunities for attractive trim and gutter choices. If you’re a homeowner who wants to conserve energy, you may want to take a different approach to your roof. Solar panels are becoming more popular in all climates, largely because of the accompanying tax credits and the sharp decrease in utility bills associated with them. 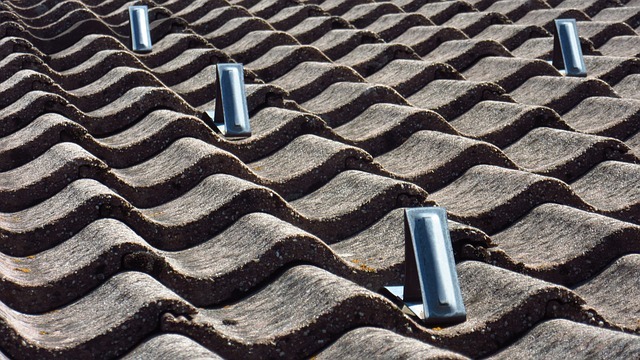 But one of the fastest-growing segments in the roofing industry is the category known as the “cool roof.” These metal tiles are coated with a white glue and gravel mixture that reflect the sun’s rays to help keep homes cooler in the summer, thus reducing the need for air conditioning. Finally, homeowners who embrace an eco-friendly mindset have several alternatives available as well. Instead of petroleum-based composite or asphalt shingles, environmentally-conscious folks may opt for wood shakes or clay tiles which are made from recyclable materials (and can be recycled after use on a roof). For those with a big budget, specially-made roofing tiles with tiny wind turbines in them can harness the power of the wind much like their solar panel counterparts do with the sun (without having to build a tall turbine atop the home). Finally, some extreme “green” homeowners are even turning to “plant roofs,” or those consisting of soil, grasses, and shrubs or flowers. That way, runoff water can nourish the flora instead of running off and getting contaminated as it passes into sewer systems or water sources. Whatever roofing option you select, make sure you select a roofing contractor that’s well-versed in installing the type of roof that you want. Some companies will say they can do the job, but you should check their references or past projects to see how successful they were with using your chosen materials or working with your chosen architectural style. That way, you’re much more likely to wind up with a roof that is as durable as it is fashionable.